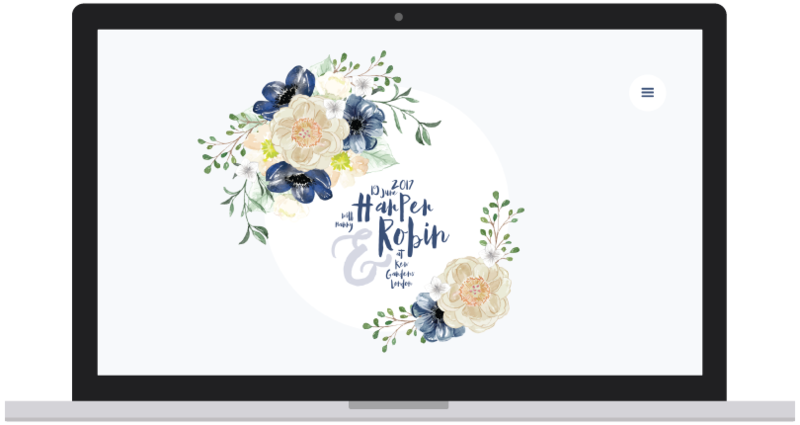 Choose one of the wedding website templates from our collection that reflects your vision and we will personalise it for you with colours, fonts and photos to bring your style to life. We look after all aspects of designing your wedding website, allowing you focus on planning your big day. We cover all the technical set-up, crafting your website to match your vision. We look after all aspects of designing your site, allowing you to focus on your big day. We take care of all technical set-up, crafting your website to match your wedding style. Your wedding website is built to be fully responsive and is optimised for all devices. Choose your own domain name for a personal touch. *Subject to availability. 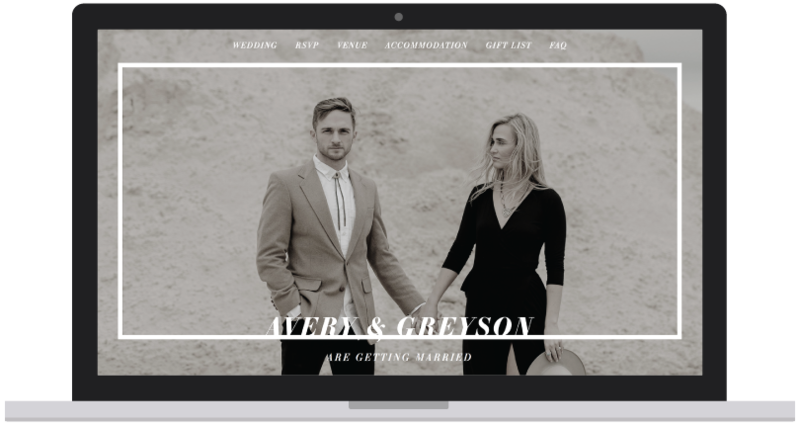 We build your wedding website with personalised content to match your style. Use your own colour palette, graphics and personal photos to make it yours. Access to an online library with a variety of font types to use on wedding website. Easily rearrange the order of our website templates to create a truly unique page. Your RSVP replies are saved in Google Sheets for quick, easy access in one place. Choose your own unique wedding hashtag to display personalised content. Password protection guarantees the privacy of you and your wedding guests. We build your wedding website to your specifications with your personal style in mind. Choose one of our wedding website designs and follow the steps below to create your site. Choose one of the wedding website templates from our shop that best matches your wedding style. Our shop is hosted on the Shopify platform, secured with SSL certification so you can be confident your details are safe with us. Once we receive your payment we will send you an email requesting confirmation of your order. Once we receive your confirmation, we will send you a link to an online form to provide us with the details about your wedding, your ideas and any customisation requests. We can arrange a phone / Skype call if you would like to discuss your website design before we proceed with the next stage. We use all the information provided by you to set up the page and add all text, photos and graphics. As a rough guideline the estimated time for the first draft of your website to be completed is 3-5 business days if no bespoke design is required. We will confirm the delivery times of your website once we received your submitted form. Once your wedding website is set up, we'll send you a link, so you can see your wedding website design and proofread the content. We include one round of amendments only in our service and based on your comments we make suggested changes and corrections to the copy. Your custom wedding website is now ready to go live! We will publish it as soon as we receive your final sign-off in writing. If you have any further questions or would like to know more about our design services, do not hesitate contact us. We will be delighted to help your wedding style shine through.